A novel study lead by Adelaide scientist has shown how enormous, carnivorous, ground-dwelling dinosaurs – the theropods – evolved into agile flyers: they kept shrinking in size for over 50 million years. In the prestigious journal, Science, the researchers present a detailed family tree of these dinosaurs and their bird descendants, which maps out what appears to be an unlikely transformation. The researchers show that the branch of theropod dinosaurs that gave way for modern birds were the only dinosaurs that kept getting inexorably smaller. These bird ancestors also evolved new adaptations (including feathers, wishbones and wings) at a rate of four times faster than other dinosaurs. “Birds evolved through a unique phase of sustained miniaturisation in dinosaurs,” says lead author Associate Professor Michael Lee, from the University of Adelaide’s School of Earth and Environmental Sciences and the South Australian Museum. 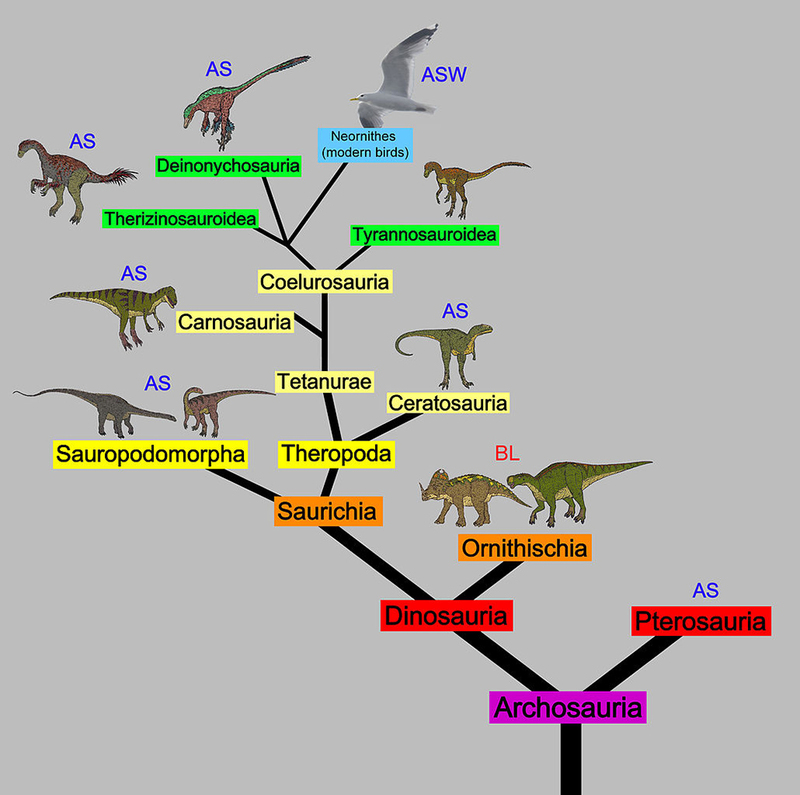 The study examined over 1500 anatomical traits of dinosaurs to create their family tree. The researchers used sophisticated mathematical modeling to trace evolving adaptations and changing body size over time and across dinosaur branches. The international team included Gareth Dyke and Darren Naish, both from the University of Southampton, as well as Andrea Cau, from the University of Bologna and Museo Geologico Giovanni Capellini. “Studies of bipedal carnivorous dinosaurs − such as Tyrannosaurus rex and Velociraptor − keep finding more and more bird-like traits, such as feathers, wishbones, hollow skeletons and a three-fingered hand,” says Associate Professor Lee. The study found that the branch of dinosaurs leading to birds was much more evolutionary innovative than other dinosaur lineages. “Birds out-shrank and out-evolved their dinosaurian ancestors, surviving where their larger, less evolvable relatives could not,” says Associate Professor Lee.